Humans have been creating and wearing fragrances to enhance their attractiveness for centuries. 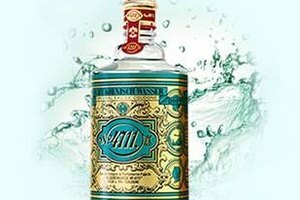 Modern people like to complement their allure by cologne choices that they feel create an expression of a personal style. However, many people really don't know much about the fragrances they love, including the way that they should be worn. The aroma of the fragrance that you choose will change throughout the first few hours following application. That's because the three different "notes" composing the cologne activate and become more detectable at different times. The first thing you will smell when you've applied your cologne will be its "top note," which will be rather sharp and the one you'll notice the most. A little later the "middle note" will begin to ease through and become the most detectable. Later still the "base note" will finally arrive, imparting the deep and lingering scent that will remain with you throughout the rest of the day. This is the one which will offer lasting impressions of your fragrance. It's good to remember that your cologne smells much stronger to those around you than it does to you, since you will have become acclimated to it. Do yourself a huge favor, as well as the people who will be smelling you all day or evening, by learning proper techniques for using your favorite fragrances. Take your time and be patient when selecting a new fragrance for yourself. Don't attempt to test more than two different colognes during the same shopping day. Give your nose a chance to enjoy them, and to discern differences between the two. Overpowering your sense of smell with too many conflicting aromas will only confuse it, and you won't be happy with the uninformed decisions that it will make for you. Spray a few candidates into the air one at a time, taking a good sniff as you do. Narrow them down to one or two that appeal to you most. If you've chosen two, then spray a sample of one on your right wrist, the other on your left. Don't mix them. Spray a few other products that might interest you onto sample cards and take them home to review later. Smell the cologne on your wrist right after applying it. The aroma you perceive will be the fragrance's "top note." Wait 10 minutes and smell it again, because it will have changed by then. You'll now detect the "middle note." Allow 45 minutes to pass before smelling the cologne for the final time. The dominant "base note" apparent now will be how you'll smell for the rest of the day. Your body heat will increase and release your cologne's fragrance. The warmest spots are where the blood comes the closest to your skin, which are often referred to as "pressure points." These areas are the base of your throat, your inner wrists, and behind your ears. Other heat-generating body parts are the torso and inner thighs. You don't need to spray cologne on all of these points, however. Rather, choose only one or two areas that you find work best for you. If you desire just a bit more fragrance than a couple of little dabs deliver, spritz some of the spray cologne into the air and walk into it. 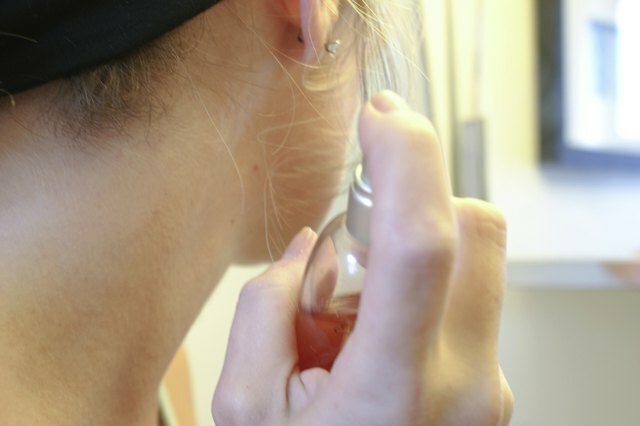 The very best way to apply fragrances is by controlling them with the use of spray bottles. If your cologne is sold in some other type of container, pour it into a spritzer before applying it. This will help to keep you from splashing and overdoing your liquid cologne application, which will overwhelm everyone who comes anywhere near you. For best results, spray the cologne onto your skin from about 6 inches away. Don't apply your spray cologne to your clothing. This is just a waste, since it will evaporate and disappear rapidly and it may stain your garments. 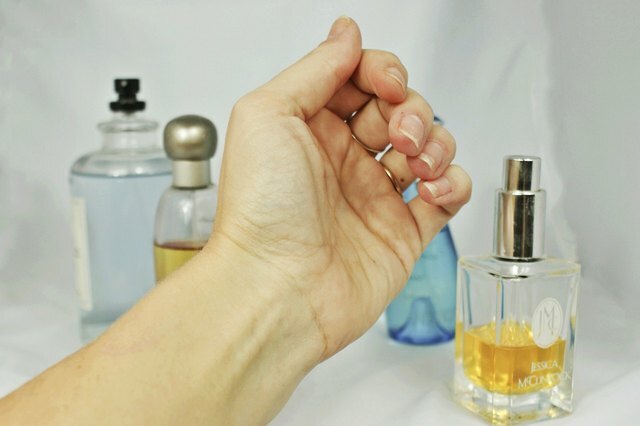 When applying your cologne, try to use your left hand because you will be shaking the hands of others with your right. Many people don't appreciate the transfer of fragrance to themselves from the handshakes of others. Avoid the temptation to mix your fragrances, even if you really love them individually. You'll get the best results by trying to use the same brands and fragrance lines for your cologne as you do for other personal care items, like deodorants and body washes. Often layering these products gives longer lasting and more satisfying results. Otherwise, simply choose unscented body products, shampoos and soaps that won't clash with your cologne. Don't be afraid to try something new now and then. Alternate your favorite summer smells with something fresh and exciting for fall and winter. Many people also have scents that they prefer for daytime use, and others for night life. Make your fine fragrance purchases only from reputable retailers. Cheap, sale or clearance colognes may very well be 2-3 years old, and virtually worthless. Most fragrances only have a useful life of 6 months to a year following their manufacture--not from the date that you buy them--and they're usually not returnable. Colognes are often marketed in very attractive containers, which are lovely when displayed upon the dressing table. But leaving bottles out where they can be exposed to heat and light isn't doing your fragrance any favors. Those factors can cause your cologne to deteriorate rapidly. Tighten the lids on your bottles and store the fragrances in a dark, dry, cool location. 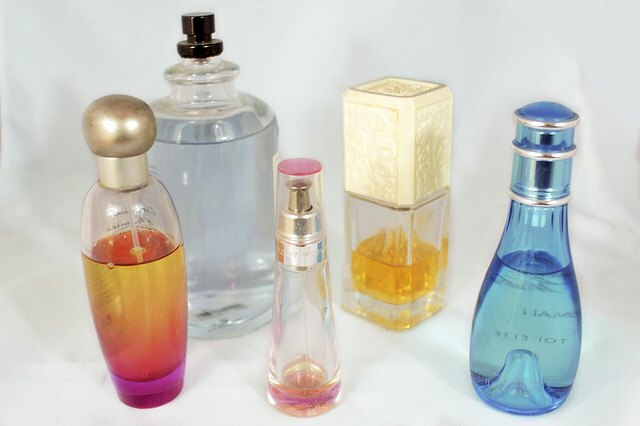 What Is the Difference Between Parfum & Perfume?